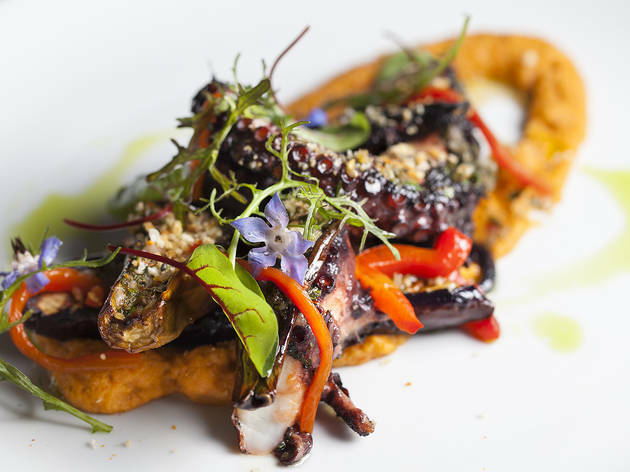 It's been an exciting, whirlwind of a year so far for Los Angeles restaurants. Foie gras was legalized again, water became an amenity you had to ask for, and more and more restaurants are adding a service charge to the check to replace our standard model of tipping. And, of course, there have been a slew of new restaurants around town. I speculated about a few anticipated restaurant openings earlier this year, though not all of them have opened and some of the ones that did just didn't live up to the hype. What did live up to the hype: an influx of quality falafel, along with an explosion of poke shops that had everyone brushing up on their chopstick skills. Amidst all this I had some really standout meals, both at fine-dining restaurants and pop-up concepts. Here are my favorite newcomers so far, and ones I hope to get back to as soon as possible. 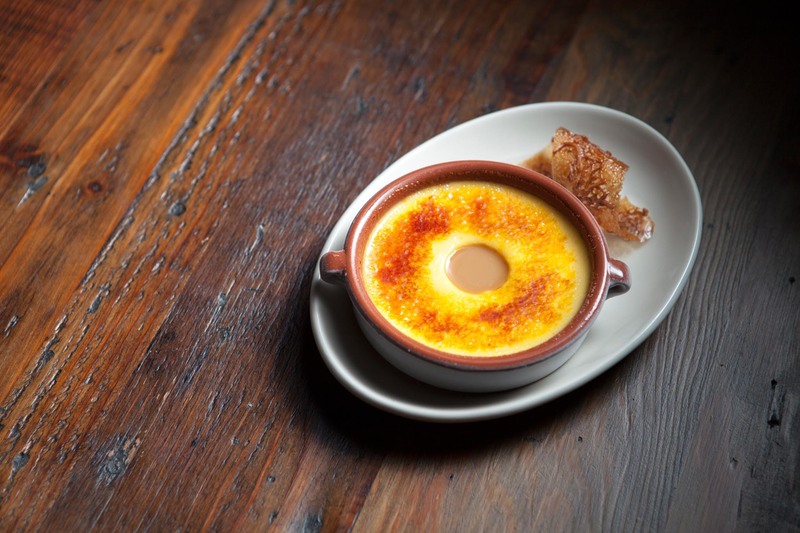 Have you eaten at these restaurants yet? It's not easy opening a restaurant in the Cahuenga Corridor, a stretch of Hollywood where restaurants and bars seem to shutter as soon as the neighbors become used to their presence. But chef Brendan Collins nailed it with the opening of Birch, a simple and ethereal eatery that serves things like bone marrow and rabbit and soft shell crab. With its sleek, minimalist design and blond wood tables, it feels more like a restaurant you'd find in San Francisco or New York—anywhere but Hollywood. Essentially, it’s exactly what the Cahuenga Corridor needed. 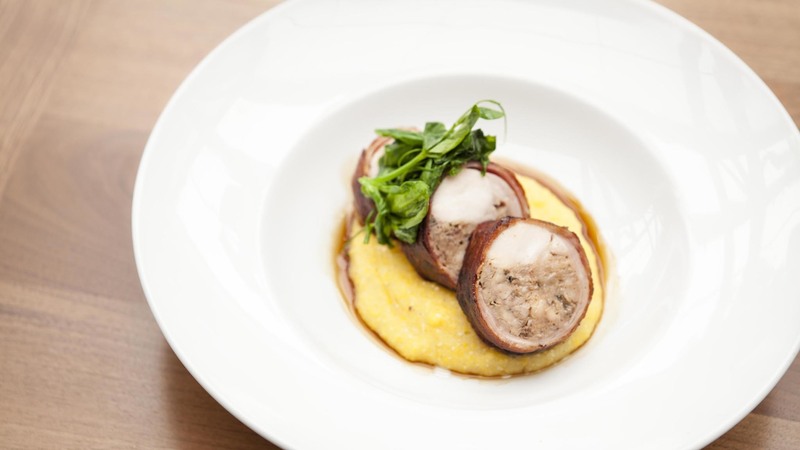 You won't go wrong ordering the corn on the cob doused in brown butter truffle sauce and truffle marscapone, or the rabbit baklava with its strips of rabbit wrapped in dough and topped with bing cherries and white beans. You won't go wrong ordering anything here, actually. The whole city seemed to collectively freak out with the arrival of Dune, a small falafel joint from Scott Zwiezen of Elf Cafe. 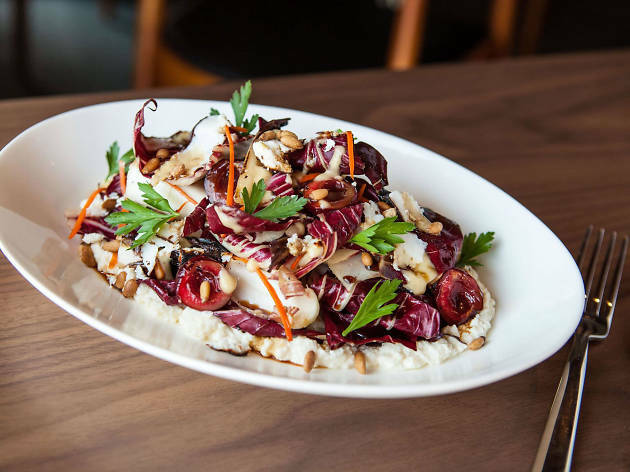 The Atwater Village eatery still draws a consistent crowd, with a line that quickly spills out the door and hungry diners hovering over the few places to sit. And yet, it's totally worth the wait. 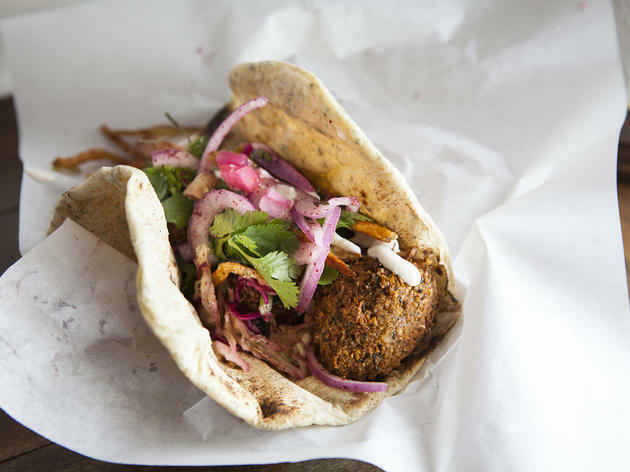 Dune's menu is small; sandwiches include falafel wrapped in house flatbread, lamb with lemon turmeric yogurt, and pickled beets and feta on ciabatta, all around $8-$10 and all made with unbelievably fresh ingredients. There are plates available with hummus, and sides that include tabbouleh. To drink, a killer kombucha fizzles with fragrant rosewater notes. 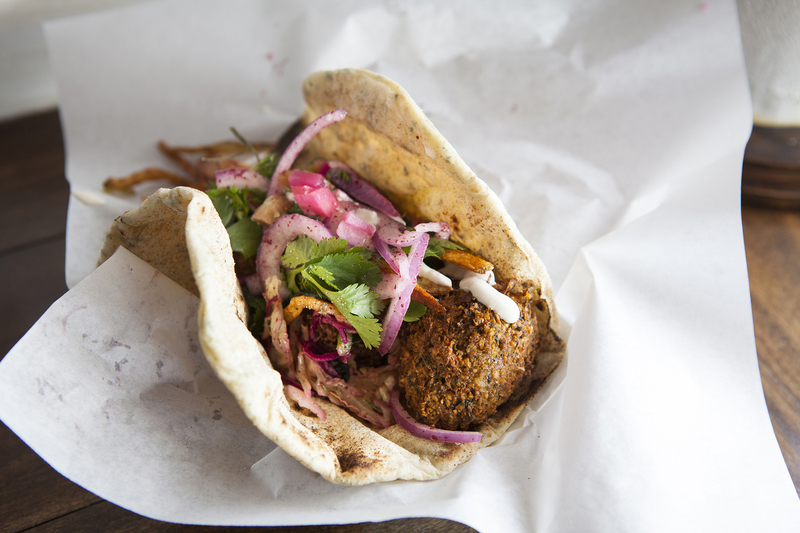 Oh, and the falafel? Crisp on the outside, warm and fluffy on the inside, and yup, it's pretty much perfection. 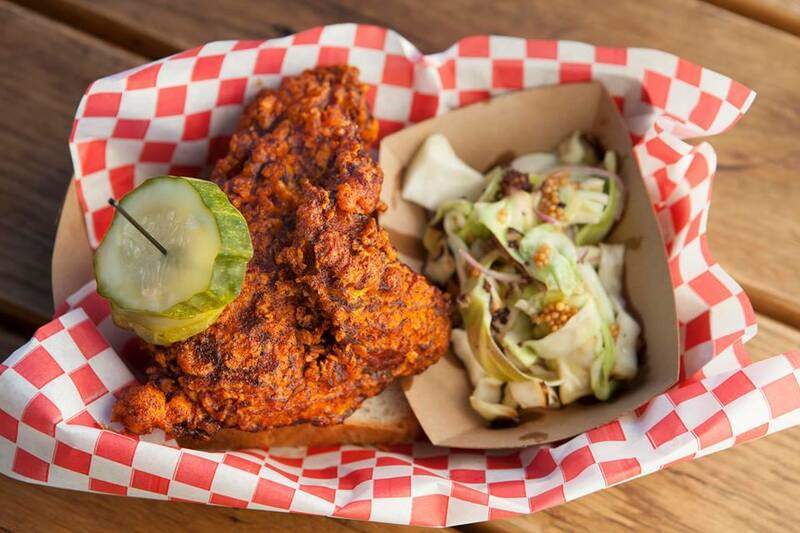 Holy hot chicken! 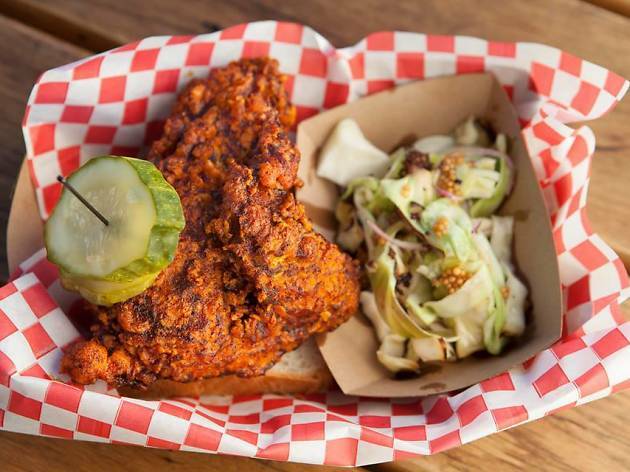 The chef behind Howlin' Rays, Johnny Zone, has spent time in the kitchen with some of the best chefs in the world, but he's really found his calling by bringing Nashville hot chicken to the streets of Los Angeles. Track down this food truck for a plate of chicken (white or dark) with whatever level of heat you can handle, from "Country Fried" to "Howlin' Hot." You're supposed to be sweating. You're supposed to get messy. You're supposed to be eating some of the best fried chicken in town. 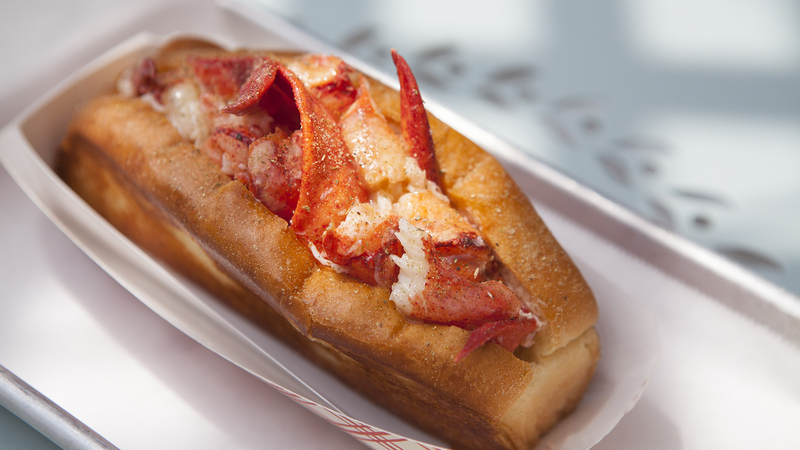 It's one thing to promise a slice of New England, but it's quite another to deliver a full-fledged, Martha's Vineyard-esque lobster shop on Sunset Boulevard. Knuckle & Claw, a lobster roll spot that began in farmers' markets, set up a brick and mortar in Silver Lake, though it channels the Vineyard to a T. Framed photos of the island and its landmarks hang on the walls, while the small kitchen staff takes your order with a kind of small town charm. 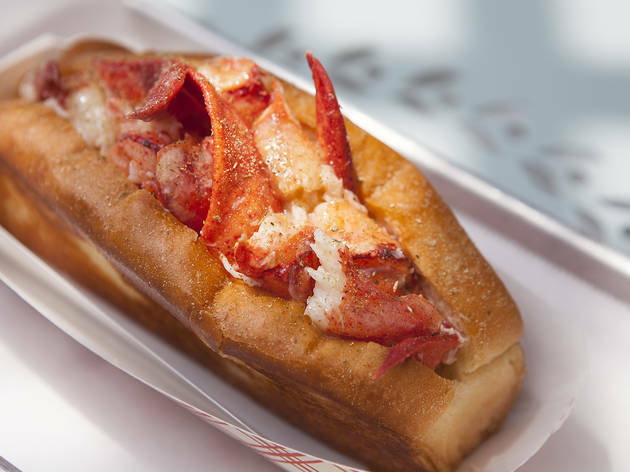 The lobster roll is straight-up Vineyard, too—cold and fresh, it's served in two sizes (four-ounces of lobster in a large bun, two-ounces in a small) and accentuated by a small amount of butter and mayonaise. A secret blend of spices top the large chunks of lobster meat. There are other items on the menu, too—a Dungeness crab roll, chowder, shrimp rolls—but, to put it in Vineyard speak: that lobstah is wicked good, and it's all you need. After closing Hatfield's, chefs Karen and Quinn Hatfield wasted no time starting a new chapter. Down the street from their other successful restaurant and bakery, Sycamore Kitchen, Odys + Penelope is a churrasco located in an old printing press. A smoker and grill form how most of Quinn Hatfield’s dishes are cooked: grilled line-caught swordfish rests above a bed of soft barley and mushrooms, and there is plenty of grilled meat, too, like a Wagyu tri-tip, a dark pink slab that melts under house-made bérnaise sauce and charred broccolini. Even if it isn’t grilled or charred, the food still evokes an earthy, homey quality. 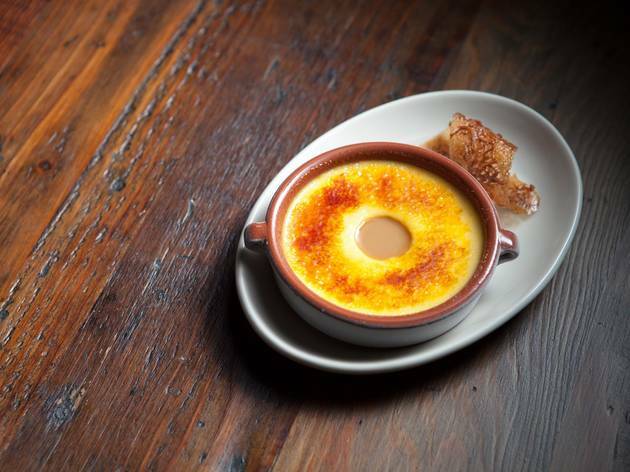 But what really blew me away at O+P was the goat milk custard brûlée that Karen Hatfield makes, the one that arrives with a hole in the center filled with caramel-like cajeta to offset the powerful presence of the goat milk, a dessert that turns crème brûlée into something almost rural. OK, so Redbird technically soft opened at the tail end of 2014, but it's worth including on this list. 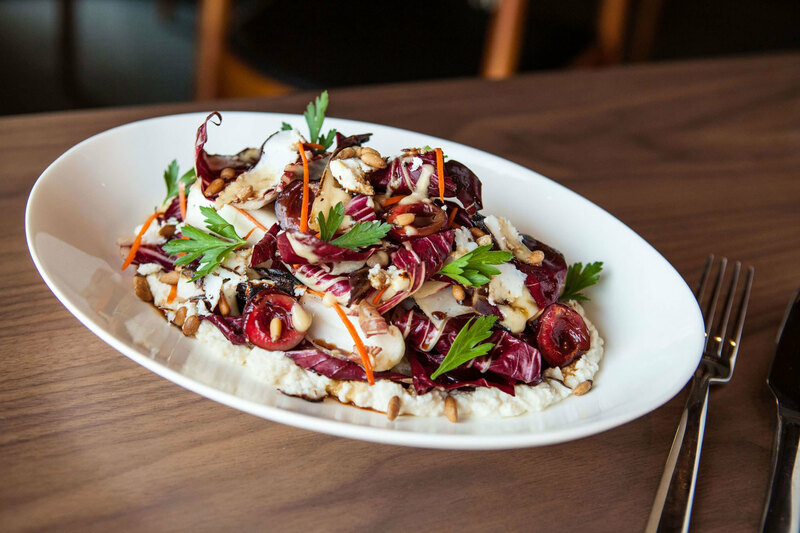 The DTLA restaurant—which comes to us from chef Neil Fraser, his wife and business partner Amy Knoll, and restaurateur Bill Chait—resides in the old rectory of Vibiana, a Roman Catholic cathedral turned events space. Fraser’s menu moves from small plates to group portions; the Florida rock shrimp is an excellent place to start. 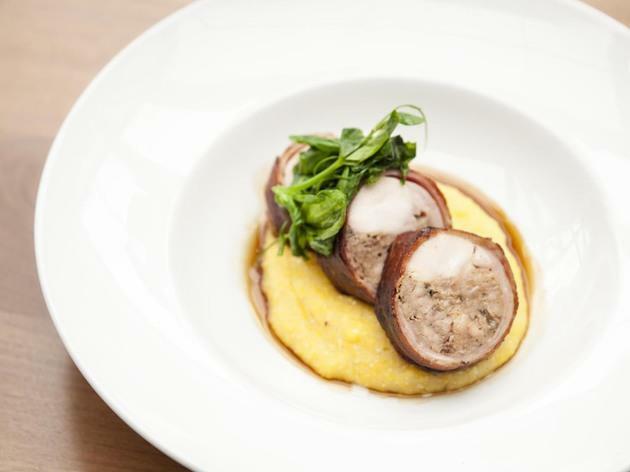 There's a rabbitchetta that features rabbit saddle wrapped in bacon, stuffed with rabbit sausage and cut into medallions that put each layer on display; it’s one of my favorite dishes here and an incredible display of technique. Plus the cocktails? Definitely worth a trip on their own. 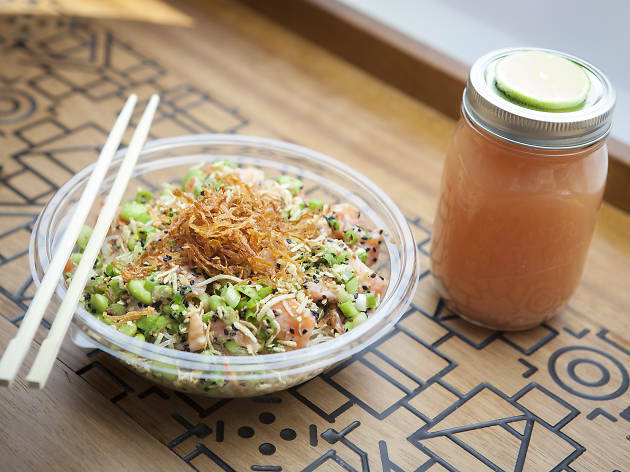 It seemed like a hundred poke places opened up this year, but culinary wiz Dakota Weiss has reinvented the traditional poke bowl at Sweetfin Poke. Unlike the usual white or brown rice fare, you can choose from a base selection of green bamboo rice (same sushi rice texture but healthier), fresh kelp noodles and cucumber slaw, or a citrus kale salad. There's a build-your-own bowl option, or a myriad of signature dishes like the mango albacore with ponzu-lime, macadamia nuts and ginger or the spicy yuzu salmon tossed with yuzu koshu sauce, edamame and fresh lime. 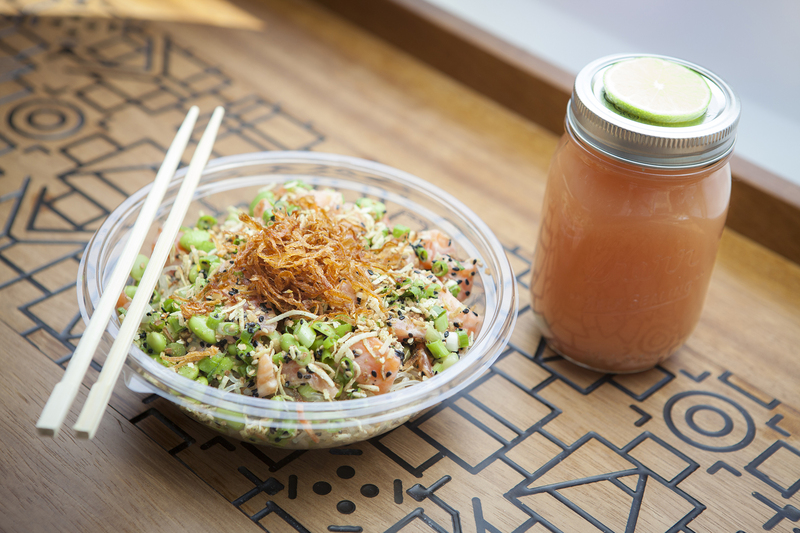 With the poke craze in full swing, Sweetfin is a spot that rises above all the hype. Mad Men may be over, but the martini drinking, steak consuming era of the '50s still lives on. 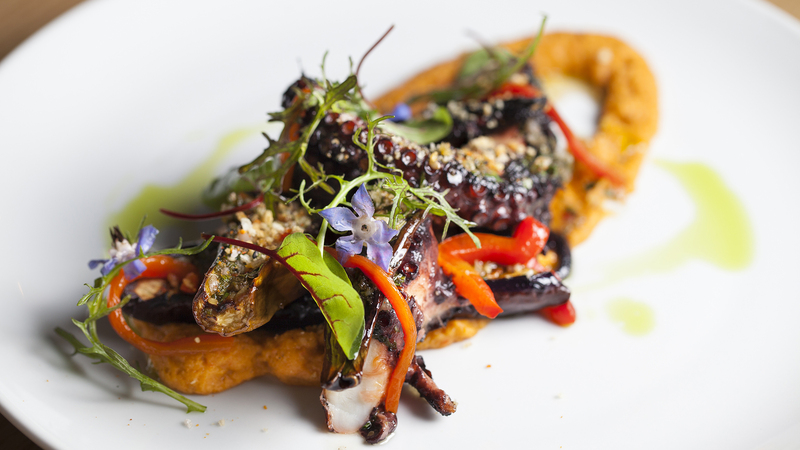 In Manhattan Beach, it comes in the form of The Arthur J, a steakhouse by chef David LeFevre. Steaks—big ones, so you'd be wise to share—are available in various cuts, wet or dry, with both obvious sauces (Bernaise) and ones that might make you pause (Vietnamese Caramel). Tthe popovers come with a strawberry butter that is thoroughly addicting, and there are appetizers that would make Draper proud, like a shrimp cocktail, rich Swedish meatballs, and an anchovy-laden Caesar salad. Once you've made it through the steaks and requisite side dishes, a series of fantastic old school desserts await on the other side; the blueberry cheesecake is my absolute favorite. Now where's the cigar lounge?